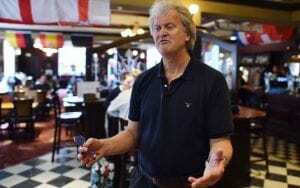 Wetherspoons closes down Instagram, Facebook, and Twitter in light of MP harassment. With over 900 pubs featured on social media all over the country, the Wetherspoons pub chain has decided to close down all of its social media accounts. This decision came about after MPs receiving continuous abuse on platforms like Twitter and also the big data privacy issue recently highlighted on Facebook. As we all know social media has been fast-growing for businesses and advertisers to sell their services and products. So how will this affect the company going forward? The chairman of Wetherspoons Tim Martin commented “I don’t believe that closing these accounts will affect our business whatsoever, and this is the overwhelming view of our pub managers. “It’s becoming increasingly obvious that people spend too much time on Twitter, Instagram, and Facebook, and struggle to control the compulsion. “We will still be as vocal as ever through our Wetherspoon News magazine, as well as keeping the press updated at all times. No matter what, social media will not disappear overnight. However, with an announcement like this, is it time to start looking at other areas of digital marketing within the business? Though Wetherspoon will not be featured on social media, it will not stop consumers still taking photos and sharing experiences at their venues. Facebook third-party user security may force marketers to up their effort in other areas. Email marketing could be back! Marketers might be forced to switch efforts into this areas, asap. For more information about digital marketing and how to overcome the social media decline, feel free to contact us and find out more about how to ramp up your marketing efforts.